The UFC 122 is already over, but the aftermath is yet to subside. Regardless, Fighting Insider already have the quick results. Check out who's in the winner and loser column. UFC 122 is already done, and the results are all here in Fighting Insider. 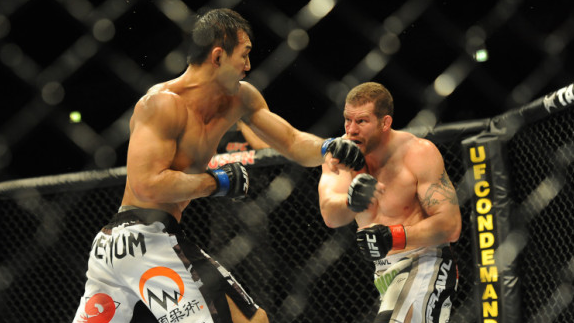 In the November 13 event, Nate Marquardt clashed with Yushin Okami to determine the next number one contender. Who ever wins in the main event will likely to have a title shot, as Anderson Silva will put his middleweight title on the line against Vitor Belfort on January. The co-main event pitting Jorge Rivera and Alessio Sakara has been dropped, after the latter suffered flu-like symptoms.